Guinea Worm: Dracunculiasis . An ecomonically important water borne disease that could be eliminated in extensive areas during the "Water Decade"
An overview document that explains how this disease can be prevented. 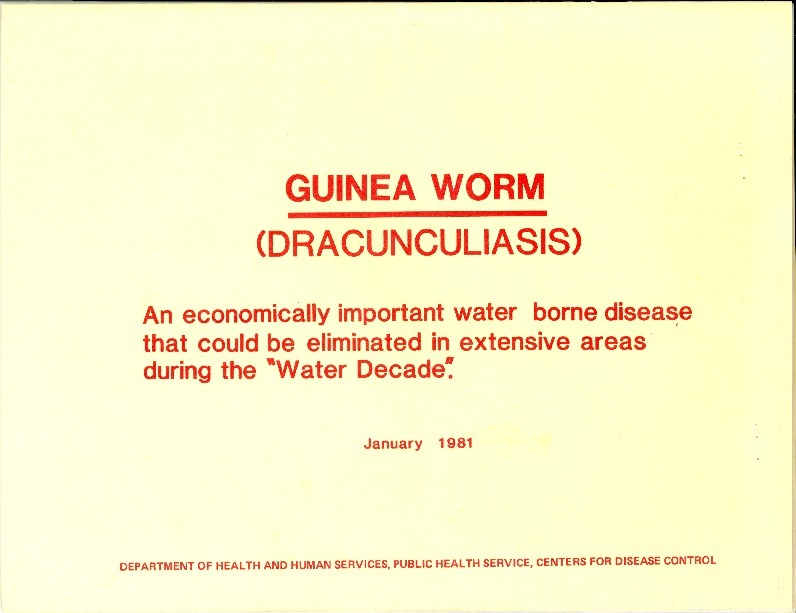 Department of Health and Human Services, Public Health Service, Centers for Disease Control, “GUINEA WORM ,” The Global Health Chronicles, accessed April 20, 2019, https://globalhealthchronicles.org/items/show/6489.